With time-typical usage traces, the highlights of the dial are missing in part, the sapphire glass shows very light patina. 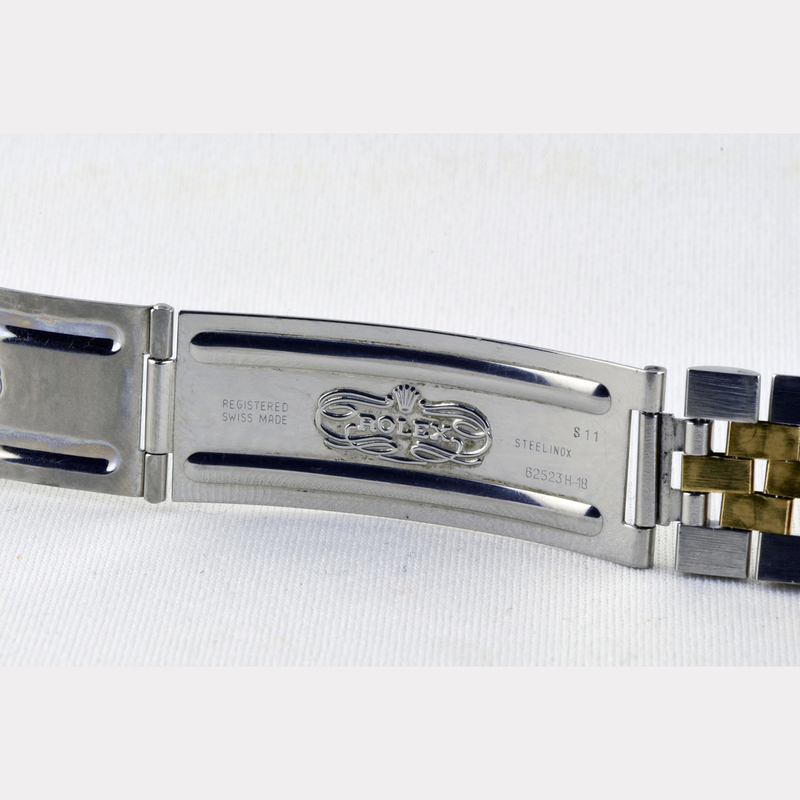 The strap is still quite firm. 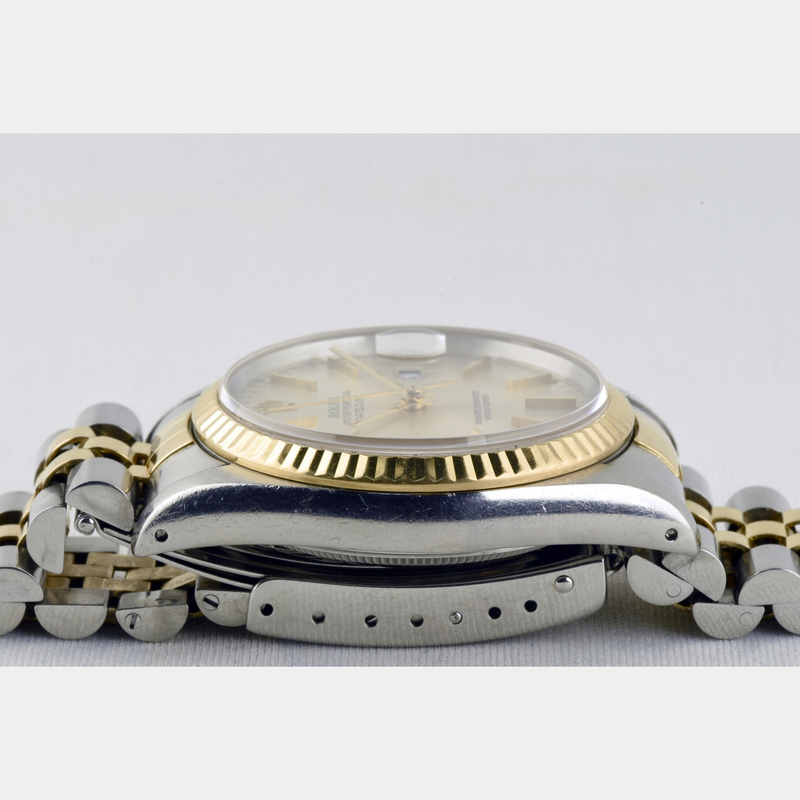 The work is freshly overhauled and the watch waterproof at 7 bar. 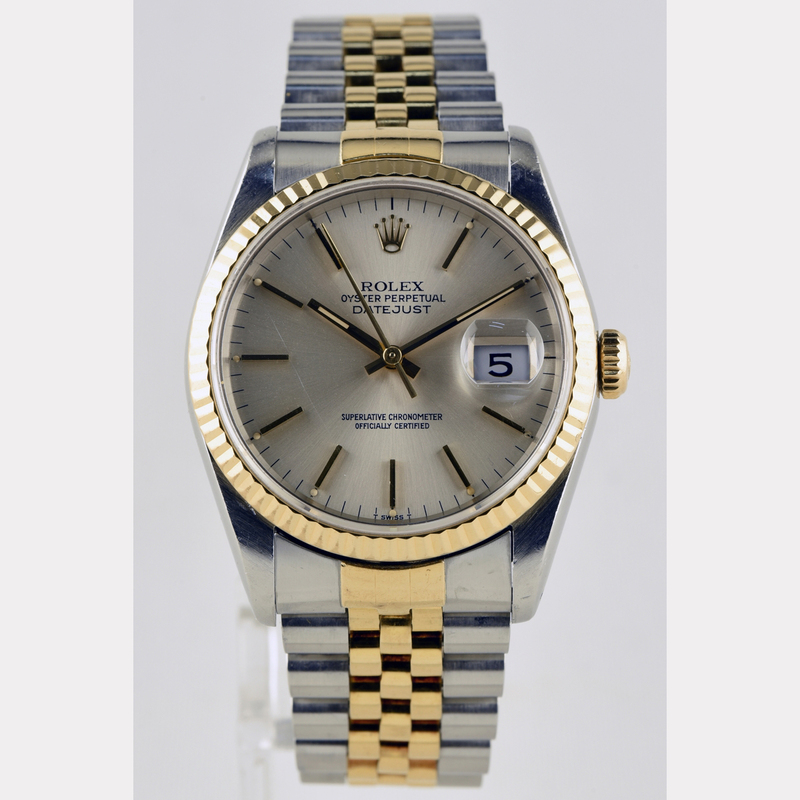 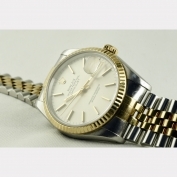 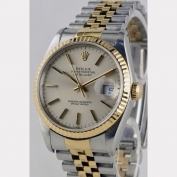 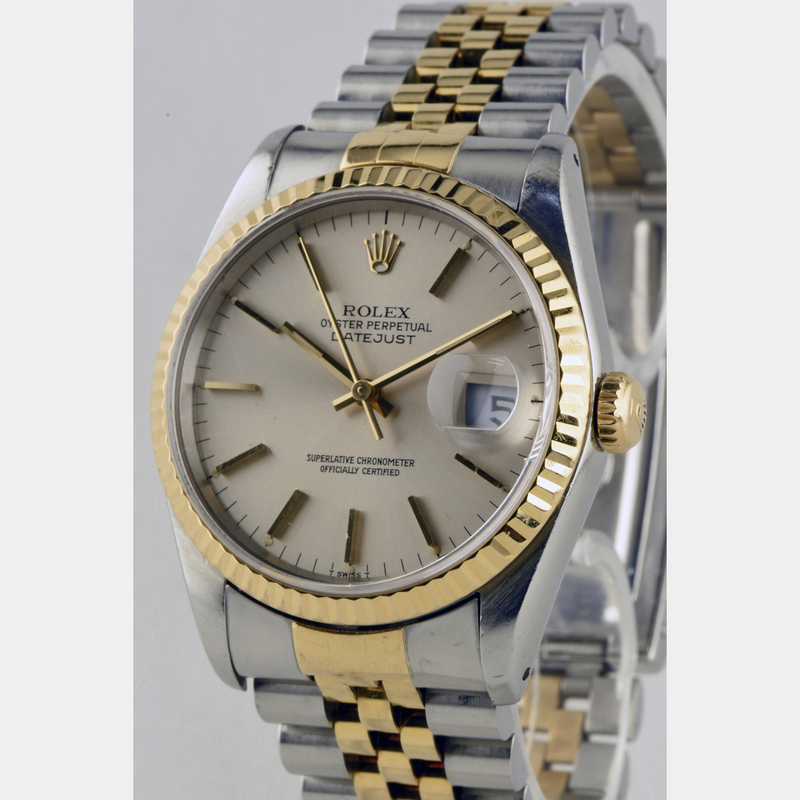 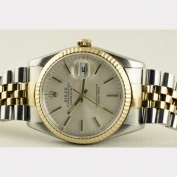 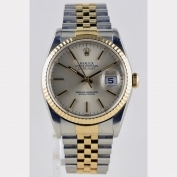 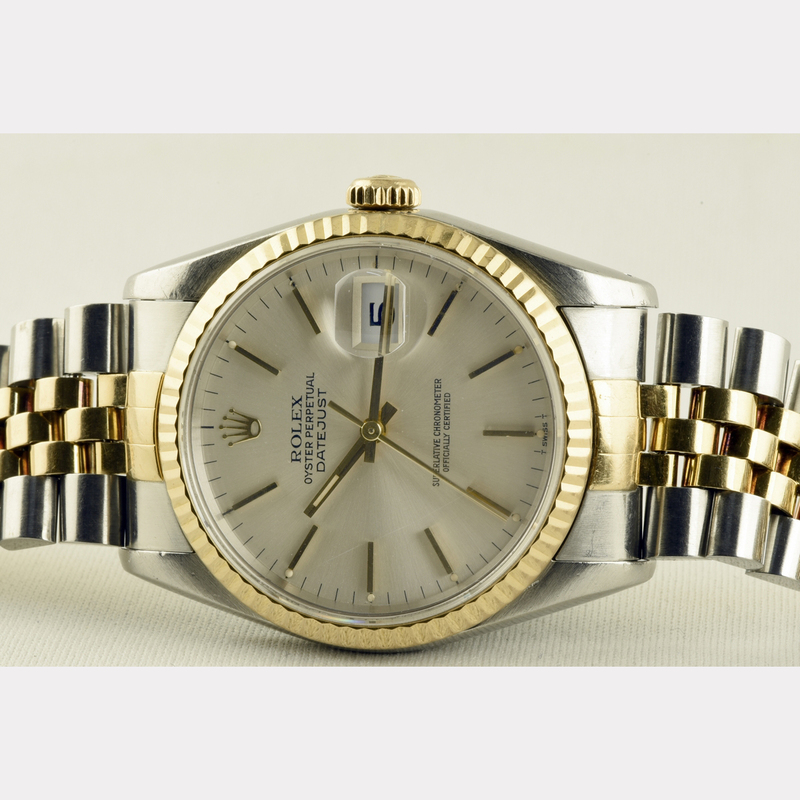 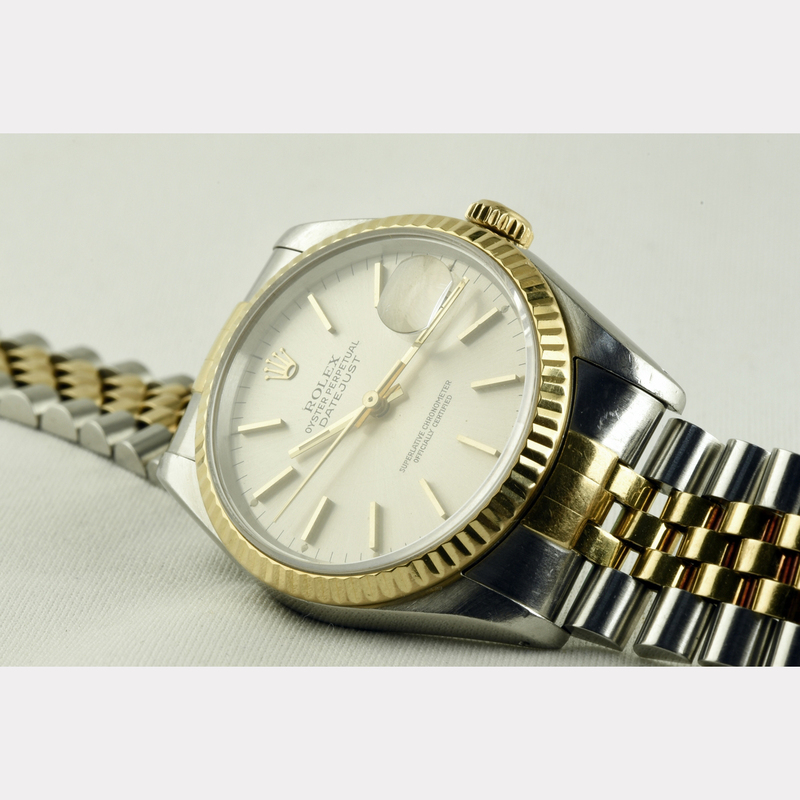 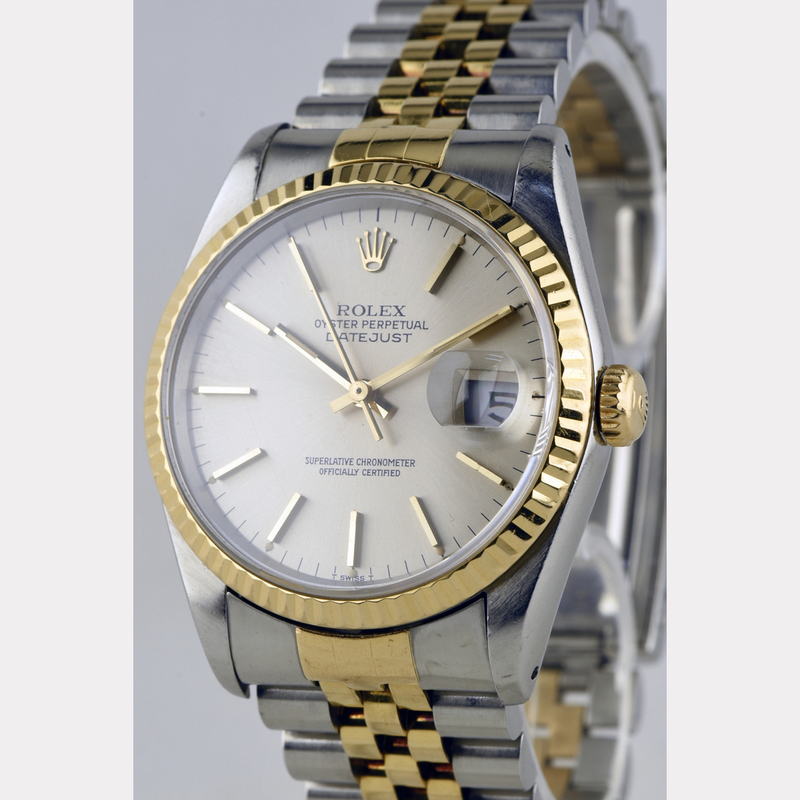 A beautiful ROLEX Datejust, the classic with silver-colored face with golden hands and bar indices. 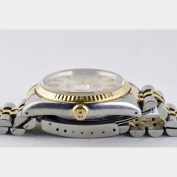 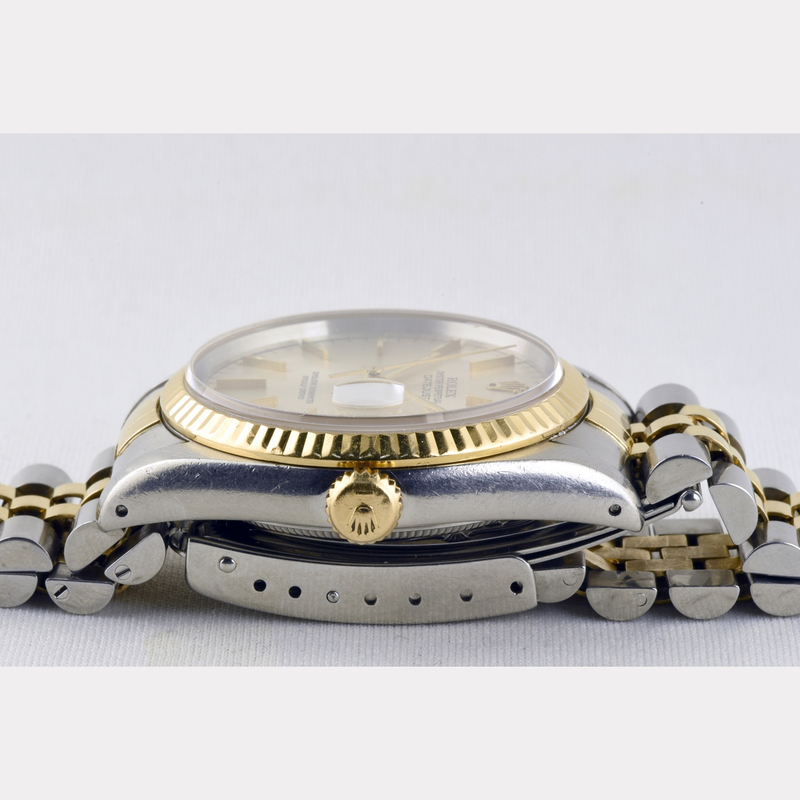 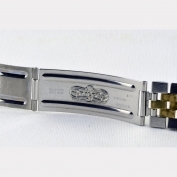 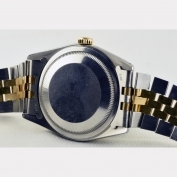 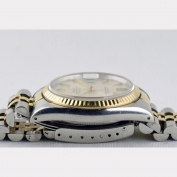 Especially this warm combination stainless steel with gold makes the charm of this watch, it can be worn to gold or silver very well, either by man or woman. 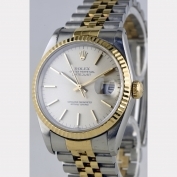 Compared to the current models you can also save a lot on the price and more beautiful is the old one anyway!